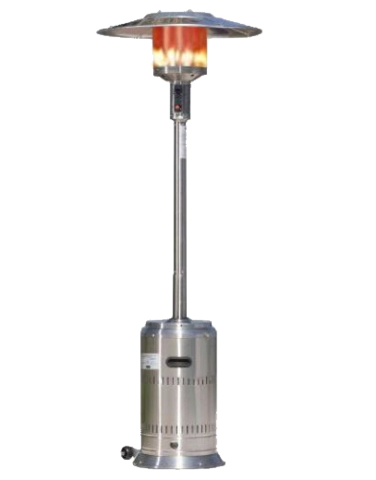 Patio heater is 8' commercial grade stainless steel. Has 40,000 BTU and warms a radium of 10 feet around. Rental does not come with propane tank, but can be rented for an additional charge. One full tank of propane will last 6-8 hours.